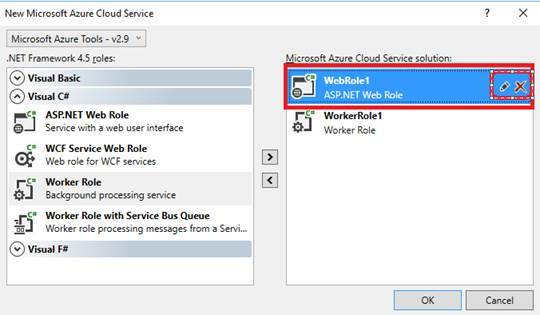 In this article, we will learn, how to create a basic “Hello World” Cloud Service, using Visual Studio. Provide a meaningful name to the project. 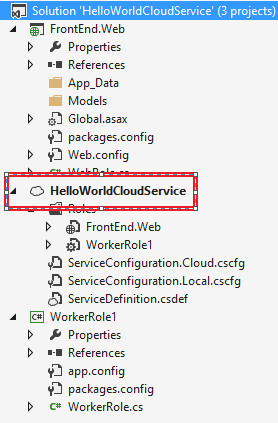 In this case, I gave “HelloWorldCloudService”, as shown above. 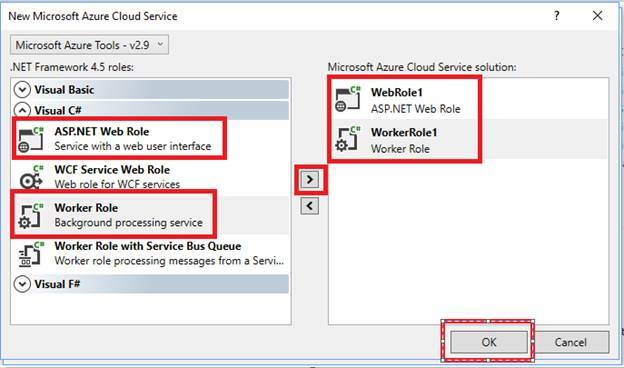 In this example, we have selected the following two roles. Let’s change the names of the roles to something meaningful. For this example, to make things simple, I have selected the following. 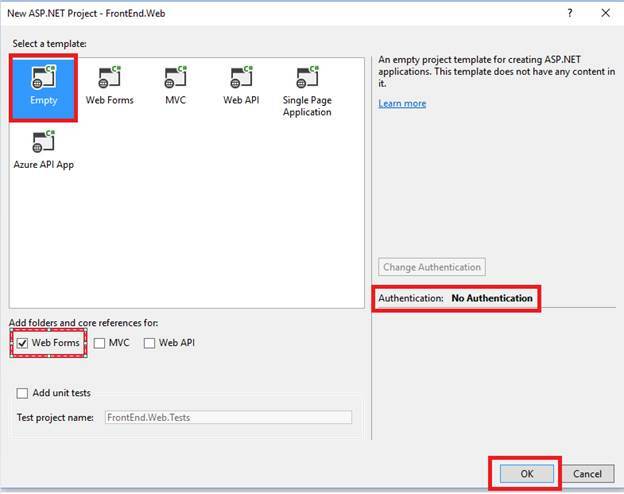 Select a template – Empty. 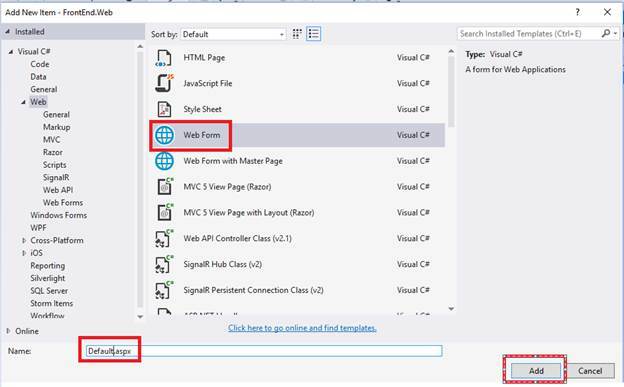 Add folders and core references for – Web Forms. 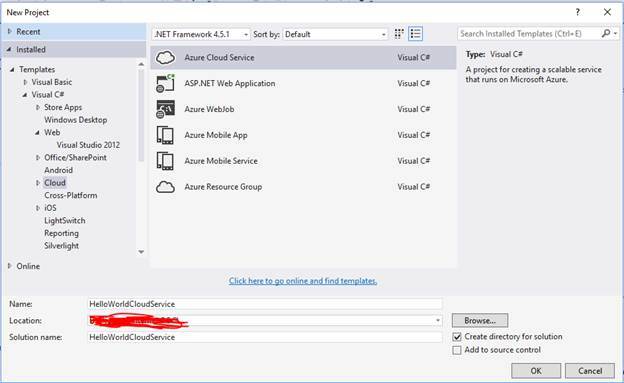 Now, click on “OK” button in the “New ASP.NET Project” window to create the Cloud Service project. As shown below, the Cloud Service project is successfully created. 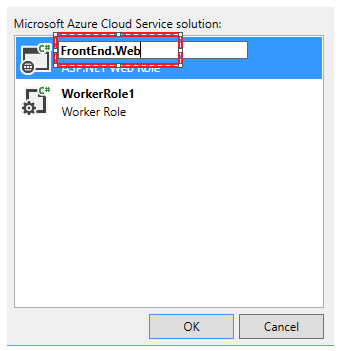 WorkerRole1 (You would provide a meaningful name, even for this in your projects). 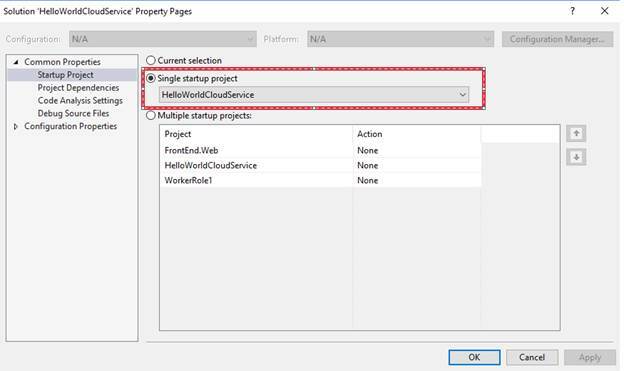 As shown below, in Solution Properties, the Cloud Service is the “Startup Project” for this solution. As shown below, Default.aspx page is created. 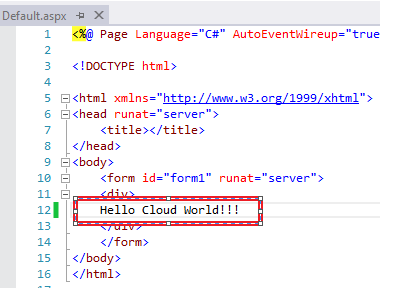 I just added the text “Hello Cloud World!! !” text to Default.aspx page. 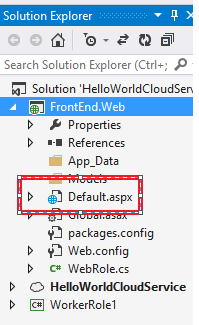 Let’s execute the Application by clicking “Ctrl + F5” in Visual Studio. 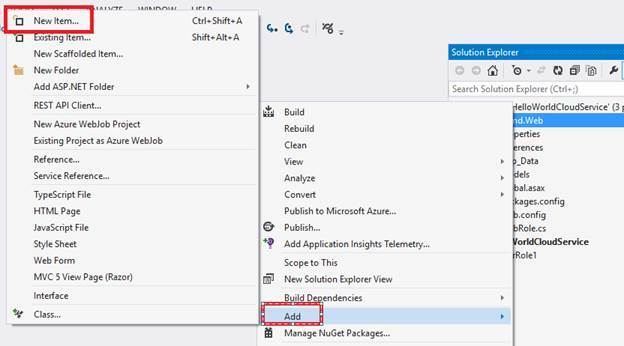 The steps taken by Visual Studio are given below to create Microsoft Azure Debugging Environment. 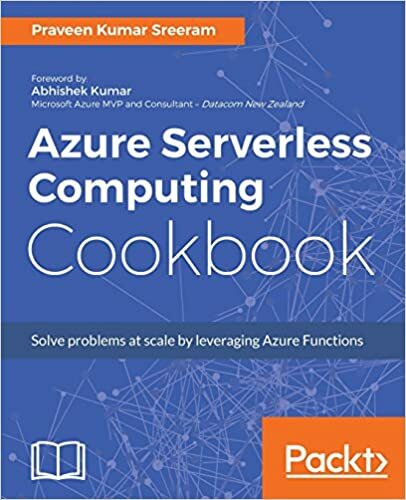 That’s it, we have created and deployed the “Hello Cloud World” Cloud Service to local Cloud Emulators.